If you have ever looked at my Instagram for 8 seconds, or glanced at my senior year of high-school yearbook, you would know I have an affinity for Clueless. When I first watched the movie around the age of 13, I decided I loved Cher Horowitz solely because of her outfits and California-cool-aura. I never considered the film very deep or influential. 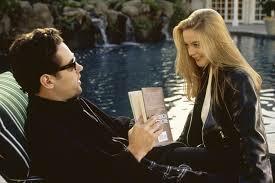 I discovered as I grew older that Clueless is much more than that. I mean, the film isn't going to win a Pulitzer or anything, but I just thought I would share with you all the reasons why Clueless and its one-of-a-kind characters deserve a little more contemplation. When I first heard Cher pronounce Haitians as Hay-tee-ans, my standards for intellectual substance were very low. Then I heard the infamous phrase (which, if I may add, was genuinely chosen as my senior quote), And may I please remind you, it does not say R.S.V.P on the Statue of Liberty! Although this contribution was unintentional, and its delivery humorous, this quote is almost too real in 2018. Ladies, remember all those times in high school when you were taught to be empowered enough to be particular about how boys treat you? Oh... you don't remember that? Yeah, me neither. Well, Cher clearly didn't give into external pressure about letting boys walk all over her. And name a more iconic scene than Dionne grilling her boyfriend to not refer to her as "woman" because of its misogynistic undertones. When Cher and Dionne agreed to make-over new student Tai Fraiser, the improvements were not strictly external. After school, Cher emphasized how important it was for Tai to work on her "accent and vocabulary" and "do something good for like, mankind or the planet for a while" after they alternated between Cindy Crawford's Aerobicise and Buns of Steel workout videos. No matter how many boys, parties, or popularity contests came along, Cher, Tai, and Dionne always checked themselves and realized they have to be there for each other. This last point is going to be mostly visual because there is not point in me arguing with you about whether or not the style in Clueless was iconic. Everyone already knows it was. Creative, quirky, high-fashion, an ode to pop culture. I'm sure no one has every used the word iconoclastic when describing a teen film, but I will.